As a member of the Committee on Preparation for Ministry (CPM) in my presbytery, I have the privilege of interacting with people who are considering a call to ordained ministry in the PCUSA. I was talking with one of my charges last week who is a youth minister, and he introduced me to a movement in youth circles called Contemplative Youth Ministry. 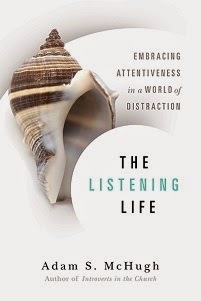 This movement was pioneered by people like Mark Yaconelli at Youth Specialties, who has a written a book called Contemplative Youth Ministry: Practicing the Presence of Jesus As soon as my friend told me about this, I had one of those cartoon lightbulb over your head moments. All the stereotypes of youth ministry are that they are heavily programmatic, centered around an uber-charismatic, dynamic, extroverted rock-star youth pastor, bolstered by loud music and overall coolness. 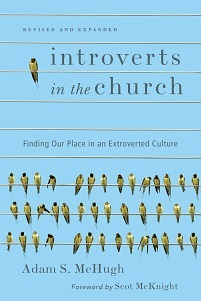 But that essentially excludes most introverts, who might feel a passion and call for youth ministry, not to mention discourages all those introverted students who want to grow in their faith and participate in community, but feel totally abnormal in such a setting. Contemplative youth ministry, instead, focuses on helping youth cultivate the awareness of God's presence and brings in spiritual disciplines like silence and different sorts of prayer, recognizing that these things may be more transformative than a high production/high entertainment program.